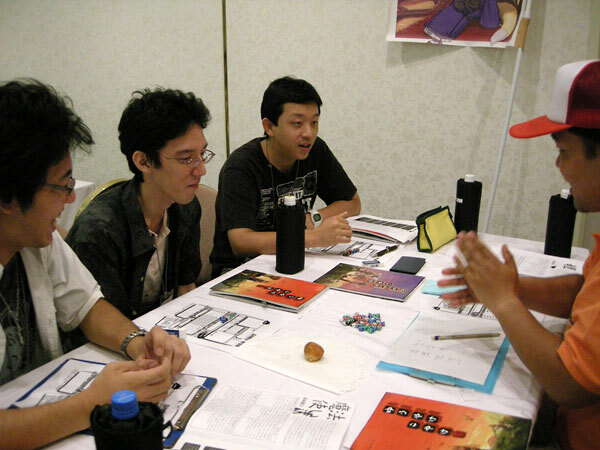 ﻿ Japan Game Convention, "JGC" - J-RPG Blog! Too bad that JGC falls so close to GenCon, because I'd like to go to it one of these years (maybe in two years?). In any case, I'm trying to gather photo reports of Japan's biggest yearly gaming con. Unfortunately, there's not too many out there. Mr. Kokado from Sunset Games attended, and took a bunch of pictures. So, one of the things that I dig about JGC is that it takes place at one giant hotel, so pretty much everyone who travels to go there stays at that one hotel. Japanese hotel undoubtedly means sento or onsen. I'm not sure about the new location, but a previous hotel it used to happen at looked like a paradise of public baths, yukata and gaming. Imagine: Wake up, take a soak in a huge hot bath, put on a comfortable hotel yukata ("kimono"), and lazily do gaming with friends and strangers for hours. Retire to your room, eat delicious regional foods prepared in a group dining environment, go for another soak, then retire to your room for some late night snacks and more games. ...but I digress. I'll use this threads to post links to pics of JGC 2008. Any idea about the demographics male/female-wise at JGC? I'm not sure about American cons either, but I figured I'd ask. Posted By: Mark Causey Any idea about the demographics male/female-wise at JGC? I'm not sure about American cons either, but I figured I'd ask. 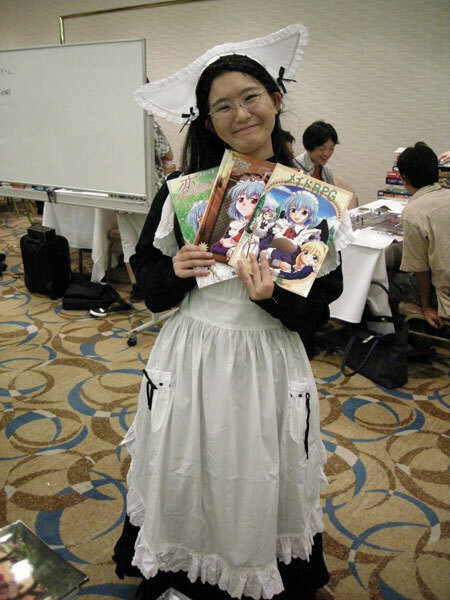 I've seen lots of pictures of female gamers at these kinds of things, and there are famous female gamers like Kanazawa Naoko (she's the one that did that series of RPG manga "Piyopu Seikatsu"), but I imagine that in Japan it's pretty similar to the US, in that it's a SAUSAGE FEST. Although in Japan, they might call it a UNAGI MATSURI. Or something. Nice pics. I should be attending next year to finish up some field work for my thesis.